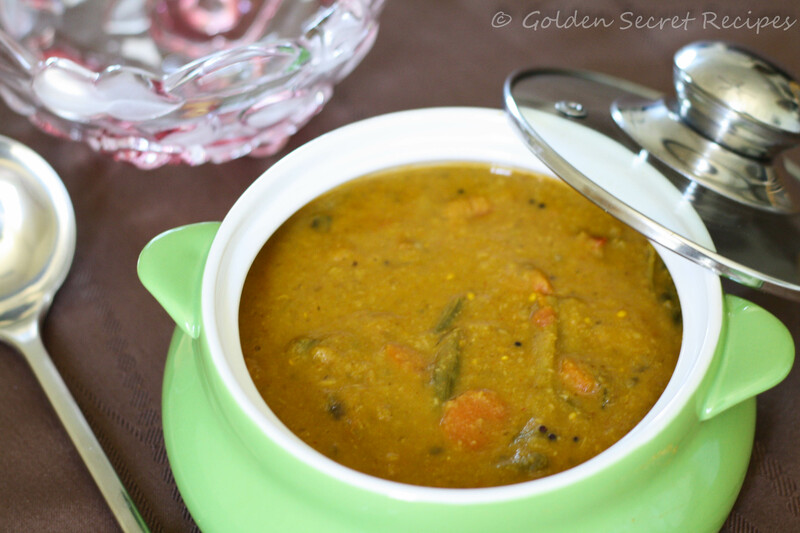 This Palakkad style Sambar is a popular dish in Kerala especially during Onam. Made with an assortment of vegetables and coconut paste, this is best served with steamed rice and side dish of choice. 2. Fry the coriander seeds, bengal gram dal, fenugreek seeds, red chillies, asafoetida, curry leaves and coriander leaves for a minute or two. 3. Add the coconut and fry for another minute. 4. Switch off the flame, cool and grind to a smooth paste, adding little water if required. 5. Pressure cook the toor dal and keep aside. 6. Heat a pan over medium flame. 7. Add the chopped vegetables and onions. 9. Pour 1 cup of water and simmer until tender. 10. Add salt and turmeric powder. 11. Add the cooked dal and stir well. 12. Add the tamarind extract and tomatoes. 13. Add the ground masala and mix well. 14. Fry the mustard seeds and curry leaves in little oil. 15. Pour over the sambar and stir well. 17. Switch off the flame and remove. 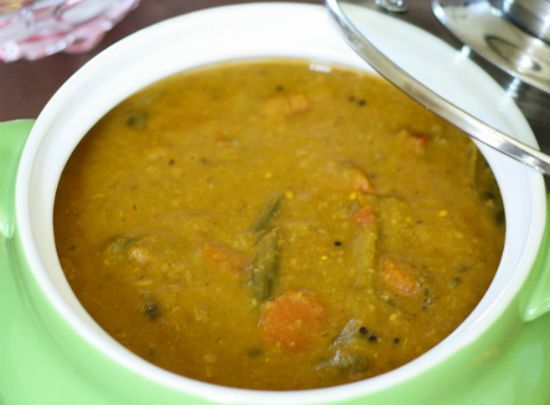 Feel free to comment or share your thoughts on this Palakkad Sambar Recipe from Awesome Cuisine.